Social Media marketing is an essential part of any digital marketing communication strategy. The beauty of social media marketing is that it allows you to effectively reach a very specific audience with a strategically targeted message. Since the rise of social media platforms such as Facebook, Twitter, Instagram and LinkedIn, businesses have been given access to extremely targeted audiences at a very affordable rate. The days of achieving meaningful results through ‘free’ media are more or less gone. The trick is to make sure you target the right audience with the right message.  This is actually a change we welcome at Márla Communications. Social media channels now require us to think more strategically about our customers, to select specific audiences and only then to communicate. All social media platforms, but particularly Facebook, require a much more strategic approach; they require businesses to really think about what it is they are trying to achieve, and who they want to target. Our Social Media expertise spans all platforms including Facebook, Twitter, LinkedIn, Instagram and Youtube. We offer a wide range of advertising services through these platforms that satisfy many marketing objectives for our clients. Would you like some free tips on best practice for managing your social media channels? Complete the form below and get a free social media report for your business! Here is a flavour of the services we offer for our clients to choose from for our most popular social media platforms. We increase awareness about your brand through social media posts and / or advertising campaigns to increase likes / follows for your page and audience engagement on your posts. We target your website visitors with social media ads to remind them to return to your website to complete a purchase or buy something else. We increase video views which drive interest in your business or product offering. We gather leads for your sales team through a strategic lead generation campaign on social media which will deliver effective results. We attract social media users to your store through an effective store visit advertising campaign which will significantly increase your footfall. Whichever social media marketing campaign you choose, we provide detailed reports on the performance of your campaign and identify potential opportunities for future campaigns. These reports are provided weekly. Does the potential of social media marketing for your business interest you? Meet us for a cup of coffee and see how you can get the most out of your social media channels!